ADDIS ABABA, Ethiopia, January 30, 2014/African Press Organization (APO)/ -- Dr. Nkosazana Dlamini Zuma, Chairperson of the African Union Commission gave a press briefing on Wednesday January 29th 2014 at the African Union Headquarters in Addis Ababa, Ethiopia, in the framework of the 22nd AU Summit in the presence of Commissioner, Rural Economy and Agriculture Mrs. Tumusiime Rhoda Peace. Dr. Zuma addressed the media on the theme of the Summit: “Agriculture and food security” and the Africa Agenda 2063. In her opening remarks, the Chairperson of the Commission said “we must make sure agriculture is a strong component of the Agenda 2063”. The AU should partner with governments, private sectors and other organizations, develop science and research, trade, industry, infrastructure, human resources and other sectors, in order to improve agriculture. Ensuring good distribution and attracting young people were also stated as steps towards the development of agriculture. “Africans should not be forced to sell their lands to other people, the land should belong to the people, Africa for Africans” she said. The lack of strong land tenure policies have driven some African countries to sell or grant long leases to foreign investors, Africa should empower the people in terms of land, she explained. Moreover, the people working on the land must be given access to technology and capital so as to enable them to produce and process the food to be more competitive in the international markets as well as create jobs. The generated income will therefore remain in the country and the activity will add value to the people working on those lands. In line with the Union's vision to be a “people centered Union driven by its own citizens”, the African Union has engaged in robust consultations with Africans, including youth, civil society and the Diaspora as well as with members of the Executive Council using various tools including the African Union Website (www.au.int). The Agenda 2063 has galvanized a lot of interest and will be discussed during the Assembly of Heads of States to have their inputs, and will be adopted in the June summit. The adopted Agenda 2063 for Africa will be included in government plans and will allow Africa to have its own development goals. “We must invest in the youth” said Dr. Zuma, stressing on the need to engage the youth in crafting this agenda in order to achieve its goals. Dr. Zuma also noted the importance of the Diaspora in terms of financial contributions and their skills that can be applied in Africa for the development of the continent. However, given that the media has provided little input, the Chairperson expressed her wish to see more contributions from the media on the Africa they want in 2063. The consultations will go on until the June Summit of Heads of States. 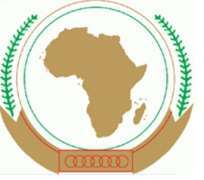 The Chairperson of the African Union Commission also addressed issues such as the Comprehensive Africa Agriculture Development Program (CAADP) and the finding of alternative sources for funding. She encouraged all member states to implement the CAADP program and learn from the successful implementations in some countries. As for the latter, she indicated that the African Union has taken steps to create a foundation to raise funds from individuals and the private sector among others.